Although they live in an age of rapidly advancing technological innovations, Gen Zers remain pragmatic when choosing brands or deciding where to shop. 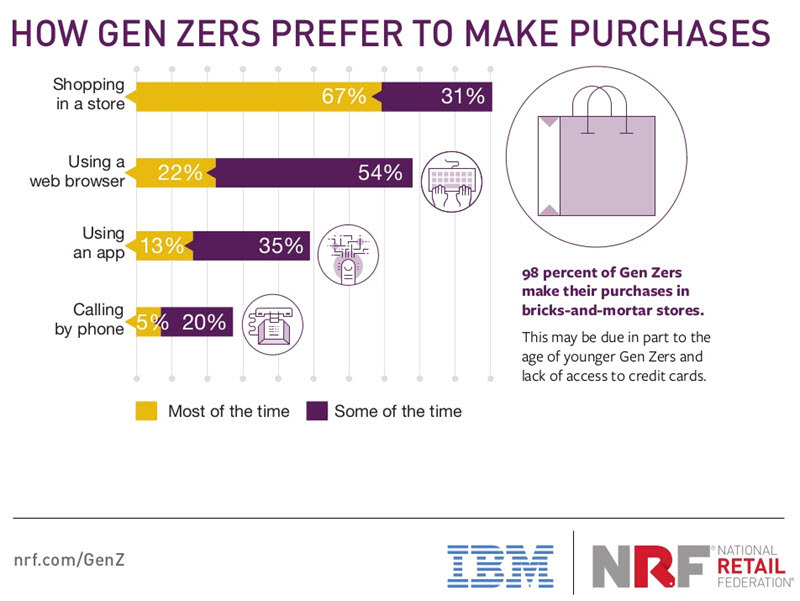 Unfortunately for eCommerce-only businesses, recent studies of an IBM study on Gen Z show that while smartphones are keeping them up to date, they are not keeping Gen Z out of physical stores. They still value that touch-and-feel, person-to-person shopping experience as well as a real social activity with their friends. But bear in mind that Gen Zers may lose some of their affinity for physical stores as they gain responsibilities, lose free time and get access to credit cards. Here are few tips and tricks on how to create more interactive engagement around your brands to meet the needs of the most complex and yet most critical shoppers of all time. For Gen Z, dependence on mobile is a way of life. The only way to truly get on the radars of this age group is to deliver smooth buying experience that offers related information to them, one-to-one recommendations and an intuitive checkout process at all times. If your eCommerce site falls short in any of these areas, Gen Zers will swiftly move on to the next competitor. According to Forbes, attention span of Gen Zers is estimated at just 8 seconds, compared to 12 seconds for Millenials. Only personalized, thumb-stopping information will grab their attention. So how will you serve all the “right” information to your Gen Z customers? Data. Use the collected data to engage your customers, learn their buying behaviours, history of previous purchases, gather information from them and use real-time data (such as location and time) to create offerings tailored to their needs. Chatbots and virtual assistants are already being experimented to enable brands to communicate with customers in powerful and direct ways at reduced cost. For now, real-time customer service is just about enough to keep Gen Zers from feeling frustrated and make their customer journey fast and pleasurable. Connecting with them on individual levels will definitely lead to a higher engagement and as a result, conversions. 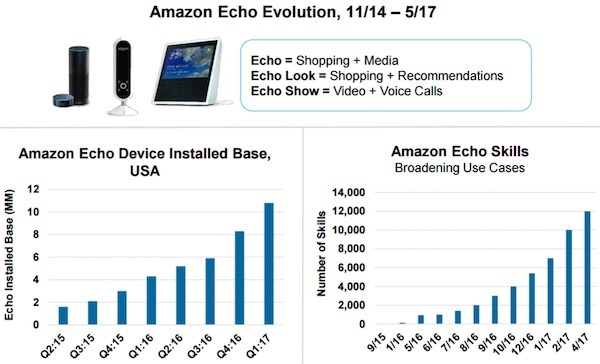 First popularised by Siri, but taken further by Amazon’s Echo and Google Home, the growth of virtual voice assistants is pretty obvious. Although some experts believe that the full potential of voice search has yet to be seen, 1 in a 3 Gen Z digital consumers in North America are regularly using voice search/commands on their smartphones (with rates also high among the older Millennials). We’re just at the beginning of what probably will be a long incline in the trends for voice search implementations, so this is the time to begin optimizing your website SEO. Focusing on long-tail keywords or even creating the entire sentences will provide voice search-friendly environment for your future shoppers. For every eCommerce this only means one thing: the ways new generations will be searching for your products are changing drastically and now is the time to start thinking about what this rise means for your store. Just couple of days ago we blogged about Adding Voice Search to Magento 2 in order to open up some new possibilities in general interaction with websites. The idea is to give the Generation Z freedom to reach you via the communication channel they feel most comfortable using. Instead of viewing social media solely as a way to keep in touch with friends and/or family, Gen Zers don’t think twice about engaging with a brand online. According to Nublue, the customer journey of a modern user switches seamlessly between touchpoints: embracing in store, online and offline. Gen Zers are not really known for their loyalty, so you need to constantly keep these youngsters “on the radar” on many different platforms to remind them about your offerings. The fact that Gen Zers can’t live without YouTube shows that YouTube is clear winner for omnichannel social media. Use videos to capture the attention of your younger audience. Remember that their attention span is much shorter than to any generation before and that while they are watching your video, they are probably texting someone. Most successful videos are engaging, dynamic and under 2 minutes. This is how a retail giant as Asos uses it’s YouTube channel. By offering short and fun “Learn how to…” and similar videos, Asos helps it’s audience to understand their products and their brand. Not only that Asos nourishes it’s YouTube channel, they are successfully closing the gap in customers omnichannel experience by offering the same caliber of experience on the rest of their social media platforms. The whole thing is about truly connecting your channels in order to create a single, unified brand that will allow your customers to feel valued and create engaging environment for them. Generation Z is sharp, engaged, socially connected and confident. Fundamentally, they are just like the teens of previous generations, but with new tools to express emotions, discover information and be influenced. The most exciting thing about this generation is that we will be able to understand them more than any other generation thanks to advances in technology, research and online data collection. Understanding their behaviour means being prepared to meet their needs, today and in the decades to come as with them – the old rules of retail no longer apply. Need help in getting their attention? We’re here to guide you along the way, so let’s start the conversation.